A minivan that was found packed with gasoline canisters and propane tanks on Tuesday morning was not part of any criminal activity, Chicago police said today. 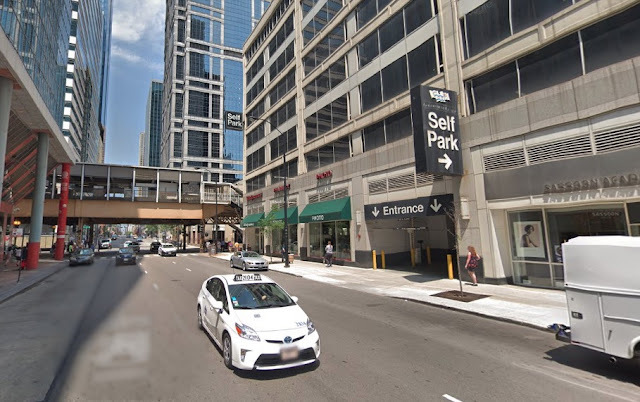 Police and fire personnel responded to the Government Center Garage, 181 North Clark Street, around 10:30 a.m. yesterday after an employee found a minivan emitting suspicious fumes with two flat tires on the fourth floor. The minivan, a silver 2006 Chrysler Town & Country, was loaded with 225 gallons of gasoline in 15 separate containers, according to WBBM Newsradio reporter Stephen Miller. At least one propane tank was also in the van. Today, a police spokesperson told CWBChicago that investigators had spoken with the minivan’s owner and he was cleared. “It was deemed a non-criminal event,” the spokesperson said. Miller quoted a fire department official who speculated that the van’s owner may be a thrifty shopper who stockpiles gasoline out-of-state where fuel taxes are lower. Traffic was diverted around the garage, which sits directly east of the Thompson Center, until 12:45 p.m. The CTA’s Brown, Orange, Purple, and Green Line trains, which pass the garage at the second-floor level, continued to operate without stopping at the Clark/Lake station.